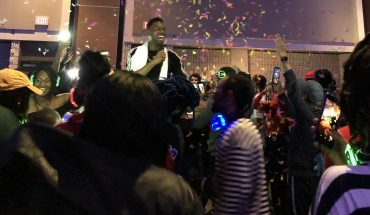 George Mason’s Afghan Student Union (ASU) hosted a release party on Oct. 22 for Afghan-American rapper and Mason student Ahmad Mustafa Alnoor, otherwise known by stage name Silo Mentality. A sizeable group gathered in an intimate setting in the JC Bistro to listen to featured songs off his new album. Other performers also included self-made rappers and artists such as Malwand Gulban, Big Benz and Paula DeFrancis. His stage name is a reference to a business term that describes “an attitude found in some organizations; it occurs when several departments or groups within an organization do not want to share information or knowledge with other individuals in the same organization,” according to investopedia.com. Silo began creating his own music in high school and has released two albums: the self-entitled, ‘Silo Mentality’, and the newly debuted ‘Isolated from Chatter Above’. Both are available on SoundCloud, YouTube, and Apple Music. His music has garnered over 250,000 views on YouTube. The song, ‘New Day’ was composed by Silo and its music video, filmed in Northern Virginia by DMV-raised Ali Baluch, is an optimistic, upbeat tribute to new beginnings. Both Gulban and Silo’s music dive into themes of social activism and awareness, representing their Afghan identity, and trying to make it in the industry. 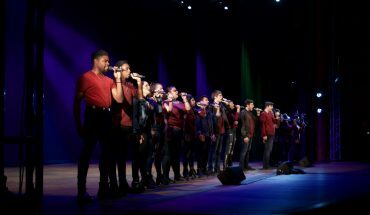 The prevailing themes in their music recently led them to perform at Howard Theater as a part of a refugee benefit show, Bars and Borders. The event also featured other big-name rappers such as Immortal Technique and Talib Kweli. Gulban performed four songs at the release party. He told the audience inspirations for his songs spanned from a recent hate crime, to a friend Gulban knew personally, to the ongoing genocide against Rohingya Muslims in Burma. “Rival, rival, rival/ Don’t die my friend/ Survival/ We’ll fight once more, we’ll fight again,” Gulban sang in his song, ‘Rivals’. Raffles were held throughout the event and attendees got the chance to win free Silo merchandise, such as CDs and t-shirts. Silo came on shortly afterwards and performed songs where he collaborated with rapper Big Benz and singer Paula DeFrancis. With slick-backed hair and slick lyrics, the audience welcomed Silo’s onstage charisma. “If I told you I got hate up in my heart would you believe me?/ I got the fire in my heart can you believe me, would you believe me/ But gratefulness is all up in my heart, can you believe me,” Silo sang in his song ‘Mad Clean’. Silo’s songs off his new album tend to explore more existential themes and funky synth-beats and synth-waves while still maintaining the distinctive sound and voice he brings to his music. 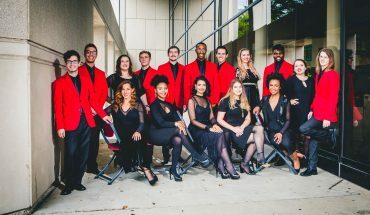 The audience and performers shared a mutual understanding between each other as ASU and others come from a tight-knit group of people who know and have seen these local artists grow and flourish. One of the beauties of growing up and trying to accomplish your goals is seeing others do the same thing. Needless to say, ASU’s album release is an event that stayed with its audience.